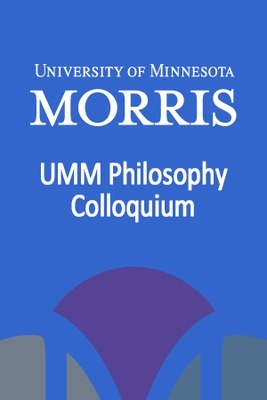 This collection includes public lectures given at the University of Minnesota, Morris, not including special named lectures. This presentation was presented at the 2018 Undergraduate Research Symposium. Ernest Hemingway, an iconic American writer of the Lost Generation, frequently traveled to Spain while living abroad as an expatriate. In fact, many of the fictitious accounts in his works are based on real events in the lives of Hemingway and his friends during their time in Spain. Despite the large number of American expatriates traveling and living abroad during the 1920s, the concept of intercultural competence likely did not exist; or at least not in the modern-day sense of the phrase. While much literature already exists on Hemingway’s connection to Spain, there is currently limited scholarship on the portrayal of Spain and Spanish culture in his works. Discussions of cross-culturalization and intercultural competence have appeared in recent scholarship as the world continues to grow more globalized; but very few discussions exist which analyze Hemingway’s works from the viewpoint of intercultural competence. 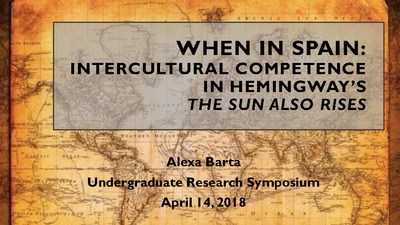 In this project, I investigate how the behavior of the characters in Hemingway’s novel The Sun Also Rises aligns with modern standards of intercultural competence. This research is significant in adding a cross-cultural perspective to the conversation about one of the most iconic works of one of America’s most iconic writers. This panel of community engagement experts explored the critical questions of whether we have enough people to lead our rural small towns into the future. 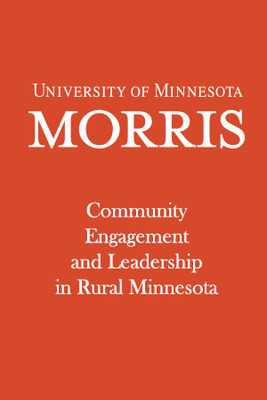 The speakers focused on the changing patterns of social involvement, particularly generational differences in engagement, the impact of these current trends on the health of our community groups, and what can be done to help increase small town leadership. Given UMM's mission to foster community engagement and civic leadership among our students, the presentation raises important questions and issues for our campus to consider. Indigenous Peoples, Climate Justice, and Decolonial Philosophy. A presentation at the 41st Annual Midwest Philosophy Colloquium: "New Directions in Environmental Philosophy." Dr. Whyte is Timnick Chair in the Humanities and Associate Professor of Philosophy and Community Sustainability at Michigan State University. He is Potawatomi and an enrolled member of the Citizen Potawatomi Nation and has written extensively about climate policy and Indigenous peoples, the ethics of cooperative relationships between Indigenous peoples and climate science organizations, and Indigenous food sovereignty. In addition to his scholarship, Whyte has played key roles within: the Sustainable Development Institute of the Menominee Nation, the Michigan Environmental Justice Coalition, Ngā Pae o te Māramatanga (New Zealand’s Maori Centre of Research Excellence), The Center for Indigenous Environmental Research, and the U.S. Federal Advisory Committee on Climate Change and Natural Resource Science. 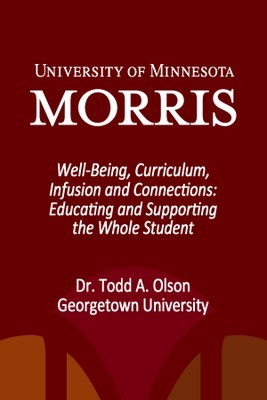 Dr. Olson has developed numerous seminars and programs on leadership and enhancing student learning and wellness. He as well co-founded the Georgetown Engelhard Project featured at the 2013 White House Conference on Mental Health. His commitment to students shines through all of his work as he provides Student Affairs leadership at the highest level with great care, skill and heart.